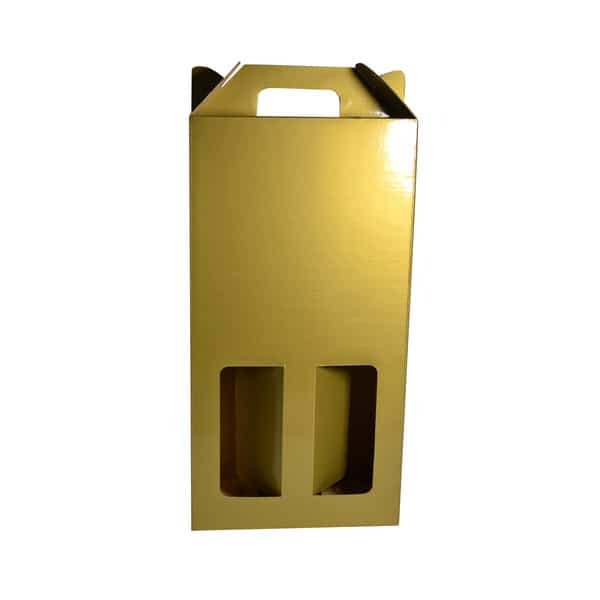 This double wine box is ideal for presenting your product. 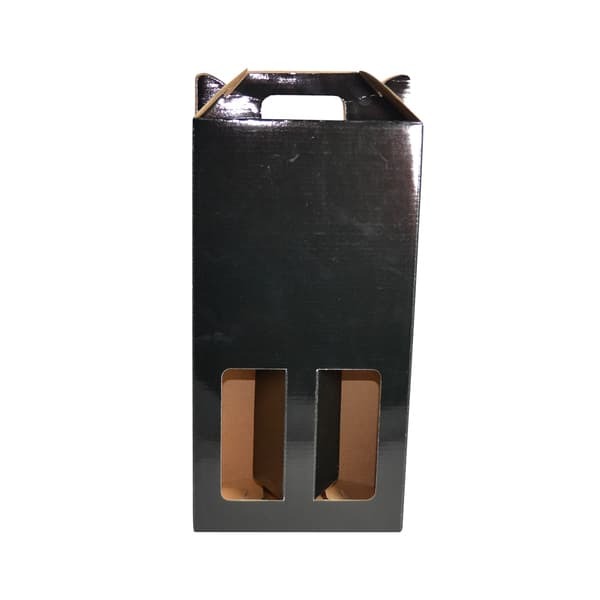 It is made out of strong corrugated cardboard and has an elegant black gloss finish on the outside. 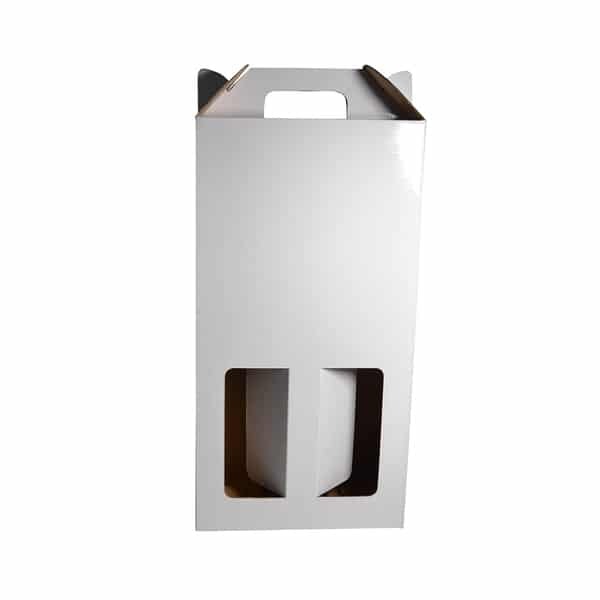 The internal dimensions of this box once assembled are 170 x 90 x 330mm (length x width x height in mm). 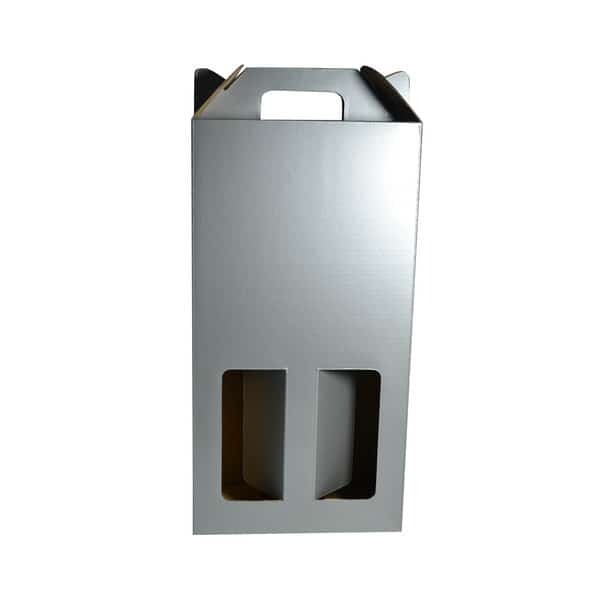 It has a handle and two windows which fold in creating a divider between your bottles. 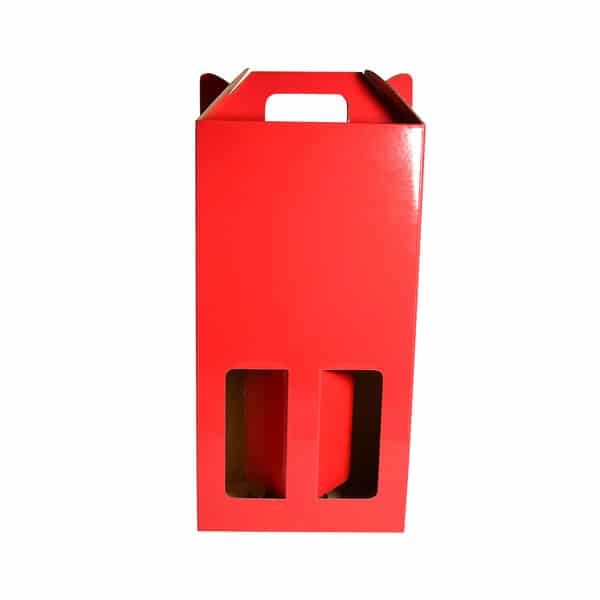 For a pop of colour, tie a 25mm satin ribbon around the wine box to make it even more presentable.